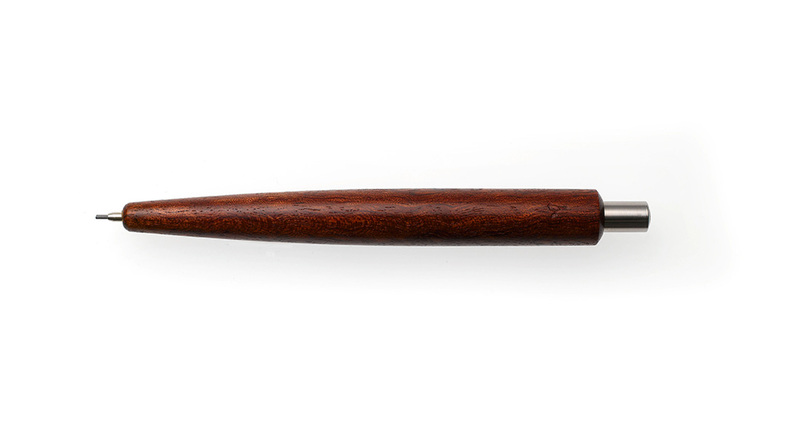 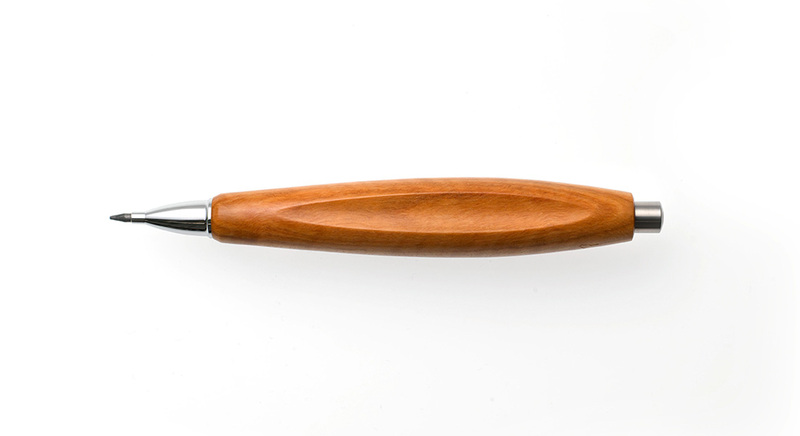 Stefan Fink's first prototype was a draft pen, initiating his career as a designer of writing utensils. Today, the models Star (starling) and Storch (stork) set their mark on paper. 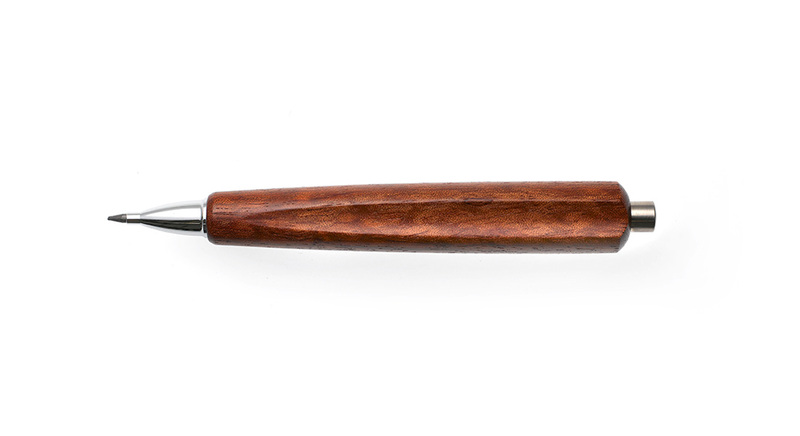 It is pure pleasure to hold one of these noble, classily rounded draft pens in hand and to let one's imagination run wild. The lines and strokes feel direct and intuitive, offering an expressive space for new thought and emotion. 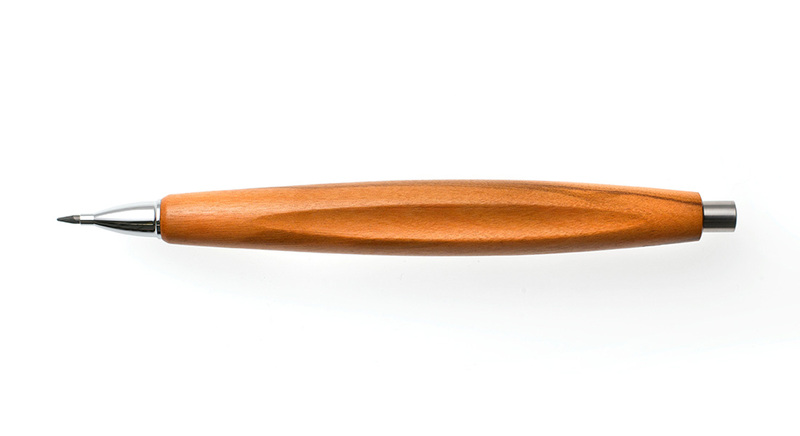 They exist in variations, either as a slightly shorter propelling pencil with a premium quality twist mechanism for 0,9 mm black lead (graphite) in four degrees of hardness. Or as draft pens of two lengths, with a precision brass push mechanism for 2 mm black leads, including a life long warranty. The draft pens come with an optional dent for ideal grip and roll-stop.